Explore the places which are defined as milestones in the life of Lord Buddha. Embark upon Buddhist circuit tour with Travelsite India with this specially created Buddhist Circuit Package for a backpacker like you. Watch and enlighten yourself as you witness Lord Buddha’s life unfolding in front of you. Explore the Buddhist site of Sarnath-Dhammekh Stupa. Check into the hotel for the night as you arrive to Delhi. Stay at the hotel for the night. After breakfast go about and visit places like Red fort, Qutub Minar, India Gate, Jama Masjid, Raj Ghat and Humayun’ s Tomb. Delhi is one beautiful place where you can actually travel to various places and not feel tired. Return to the hotel for the night. We would now leave to Jaipur by road. Upon arrival; check into the hotel for the night. Stay at the hotel for the night, if time permits explore the local markets. 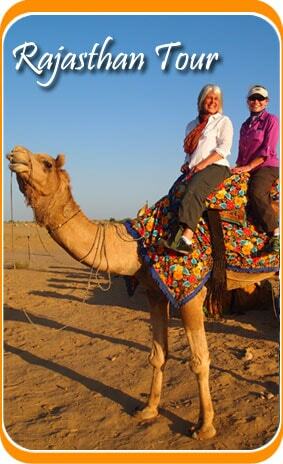 Go on an excursion to the city of Jaipur and visit the Amer Fort and elephant ride to the hill top. You can also visit the Hawa Mahal, City Palace, Nawab sahib ki Haweli and the Johari Bazaar. Stay at the hotel for the night. Start your day and drive towards Agra via the Fatehpur Sikri, the erstwhile Mughal capital. As you arrive at Agra, check into the hotel and relax for a while. 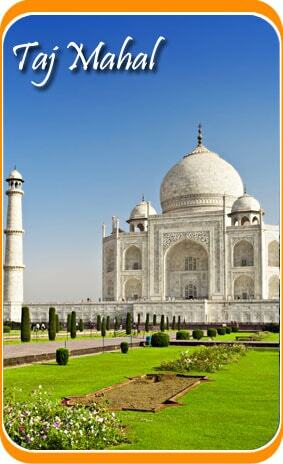 Go on and visit the Taj Mahal, the Red Fort and the Itmad- Ud –Daula’s Tomb. Return to the hotel and relax for a while. Board a flight to reach Varanasi and as you arrive there, check into the hotel pre-booked for you. Relax for a while. After having lunch, drive towards Sarnath and visit the place where Buddha delivered his first sermon. Stay at the hotel in Varanasi. Today enjoy the boat ride at river Ganges in the morning and then go to places like Bharat Mata Temple and Vishwanath Temple. Return to the hotel for overnight stay. Visit the vicinity and explore Rajgir, Nalanda, Venevamas and Sapta Pari cave. These places are important in the life of Buddha as they were one of the milestones of his life and his attainment of enlightenment. Thereafter, return back to the hotel and then relax. Stay at the hotel for the night. Start you journey and visit Vaishali, which is an important Buddhist Destination. Later in the day, go visit the landmarks such as Chaumukhi, Ashoka Pillar and Lotus Tank. We would proceed our journey as we drive to Kushinagar. Stay at the hotel for the night. After the breakfast in the morning we would then go about the city tour visiting places like the Mahaparinirvana Temple. You can also visit the Japanese and Sri Lankan Buddhist Monasteries which are important Buddhist site for devotees. Later in the evening, check into the hotel or you can explore the vicinity. Stay at the hotel for the night. We will today visit the Ashoka Pillar and then proceed to Mayadevi temple, which is a Buddhist Monastery. We would then drive to Balrampur via Sravasti. Do not miss to visit the Jetavana Monastery. Then we would proceed on to Balrampur as soon as we finish visiting Sravasti. Upon arrival, check into the hotel and stay there. After a hearty breakfast we would go on and explore the sites in Balrampur which are important in the life of Buddha. Check into the hotel for overnight stay. After the breakfast, proceed to visit the sites in Lucknow. Visit the Bara Imambara, and the Central Hall, which is marked by its beautiful architecture. Then we would go and visit Rumi Darwaza. We would then move to the airport to board a flight to Delhi. Upon arrival check into the hotel for overnight stay. In the morning check out of the hotel and then board a flight to your journey to your home place. Your Buddhist Circuit Tour ends here.